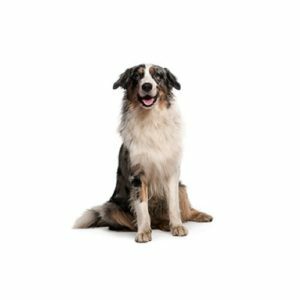 Animated, adaptable and agile, the Australian Shepherd lives for his job, which still involves herding livestock and working as an all-purpose farm and ranch dog. He needs a lot of activity and a sense of purpose to be truly content. Today, due to the breed’s intelligence and versatility, Aussies ۝ also excel in AKC events such as agility, obedience and herding. Their coats can be black, blue merle, red merle and red with or without white markings.